Featuring breakthrough audio and mechanical design innovations, the phantom-powered U851R offers outstanding speech intelligibility and transparent sound quality for surface-mount applications. 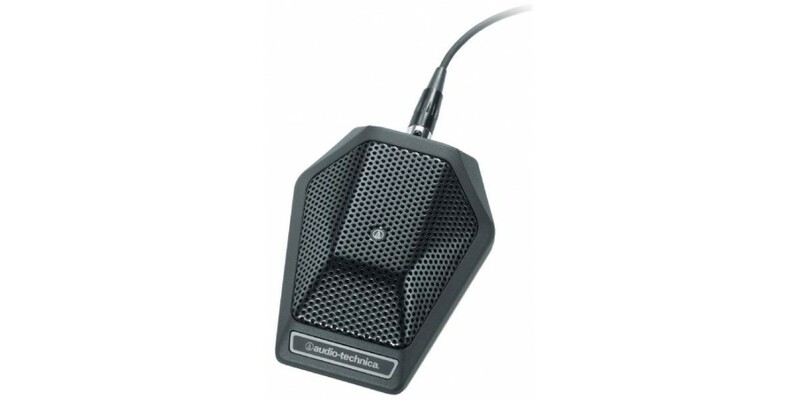 The microphone is equipped with a PivotPoint rotating output connector, UniSteep filter and UniGuard RFI-shielding technology. It accepts interchangeable condenser elements " available for boundary microphones in cardioid, hypercardioid and omnidirectional polar patterns. With a heavy die-cast case and silicon foam bottom pads to minimize coupling of surface vibration to the microphone, the U851R is equipped with self-contained electronics, eliminating the need for an external power module. MAXIMUM INPUT SOUND LEVEL :134 dB SPL, 1 kHz at 1% T.H.D. CAD Audio 201R Mini Cardioid Installation Boundary..
CAD Audio 220VP Variable Polar Pattern Boundary Mi.. 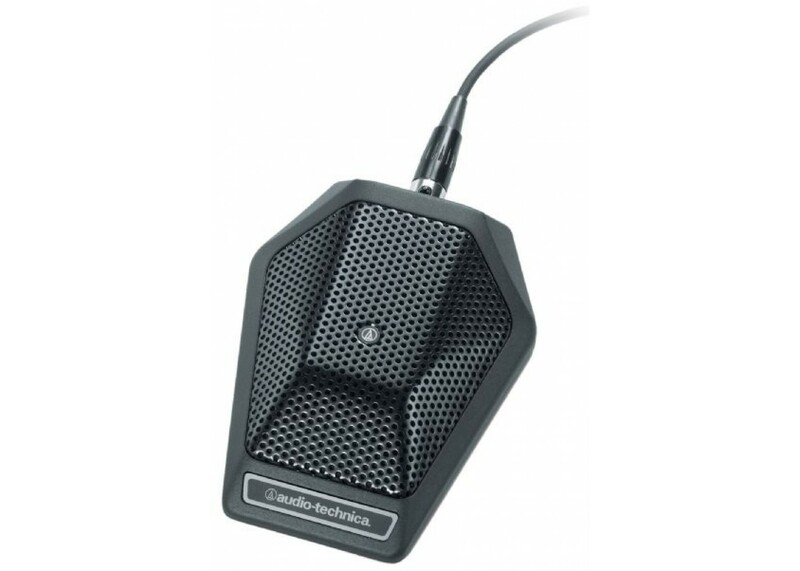 Audio Technica U851RO Omnidirectional condenser bo.. Audio Technica U891RCX Push to Talk Boundary Conde..